Tonight millions of kid kids and grownup kids will dress up as all kinds of things. I for, one, am going with a group of friends as Muppets with a disco twist. What are you dressing up as? Halloween hasn't stopped being fun even though we aren't trick-or-treating anymore. Even if you're just throwing on a sheet and calling yourself a ghost, October 31 is always a good time to get weird with us. 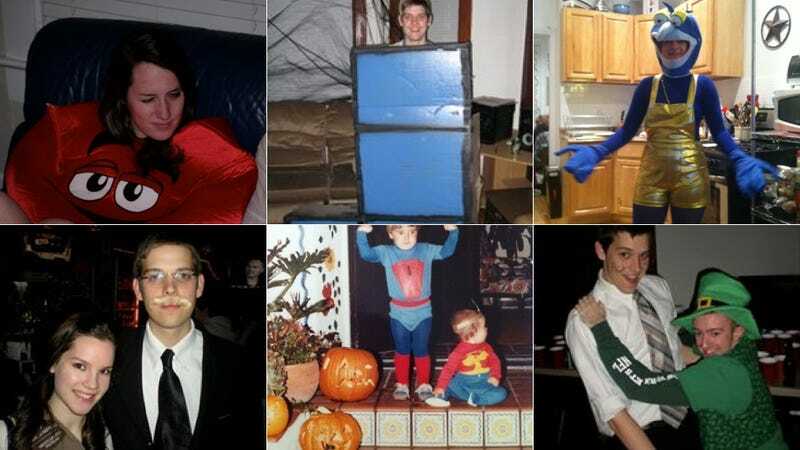 Above are some of our best costumes from years past. So show us what you've got.